In early January, New York Governor Andrew Cuomo announced that the 15-month long L train shutdown would not go forward, curtailing years of planning and potentially halting the disruption of 250,000 riders. But some L train riders are suspicious about the MTA’s sudden change in plans. Cuomo’s sudden decision to halt the shutdown comes after 6 years of planning by the MTA. The shutdown was made necessary by water damage as a result of Hurricane Sandy in 2012 and was initially planned to shut down for 15 months beginning on April 27. Instead, Cuomo says that the MTA will utilize new technology from Europe to keep the train open during the week, and close just one of the L trains two tunnels at a time on both nights and weekends. But the reversal by the MTA and Cuomo, who has often claimed to have no power over the MTA, has left Brooklyn residents reeling and unsure of the future of their commutes. Thomas Palette, a lifelong Williamsburg resident who grew up off of the Grand Street stop, thinks that Cuomo is just prolonging the inevitable. Palette isn’t confident that the Cuomo’s new plan is going to pay off either. The new plan is expected to maintain 24/7 service, with trains reduced to just four per hour during nights and weekends. Repairs are expected to take between 15 and 20 months, making it comparable to the original plan. 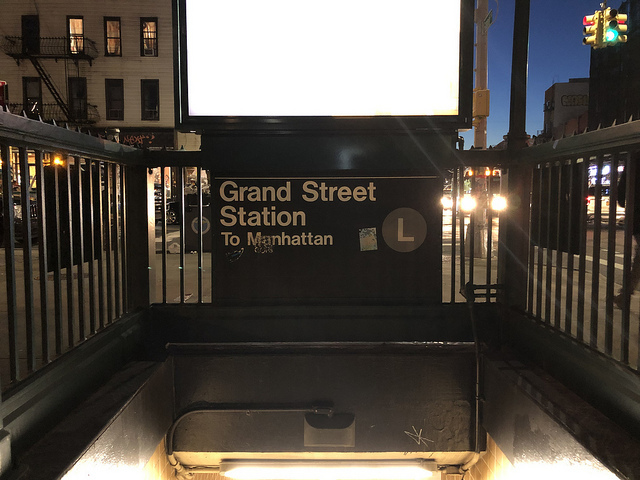 But other Brooklyn residents who also rely on other Brooklyn-based lines are worried that planned repairs and bolstering of other Brooklyn lines, such as the G, will no longer happpen. It is unclear whether or not the G train and JMZ lines will still receive previously planned repairs or larger trains. The change of plans has New Yorkers like Watkins worried that Cuomo is pulling a political stunt, rather than worrying about what is best for the city.